Welcome to our another installment of top five best smartphones in India series. This list is about smartphones under 20000 rupees in India. As I have said in my earlier articles, I’ll say it again the process that went under choosing smartphones here. I went to a local electronics store and spent quality time playing with the smartphones featured in this list. I even went across article reviews, video reviews to know what other professional reviewers had to say about these smartphones. Based on that I’ve made sure I come with a detailed article which will help you choose your next smartphone; not just based on the price tag but also on built quality, screen quality, processing power, OS and UI performance and more. Since India is a price sensitive country, I even had to make sure that the featured smartphones under 20000 offer bang for each buck paid. So without much adieu, here we roll! To be true, I personally hate Samsung smartphones. Don’t ask me the reason but I personally do. Only with a very heavy heart I’ve convinced myself to put Samsung Galaxy Grand 2 in my list of best smartphones under 20000 Rupees. To be true of a fact, the phone looks very bland in pictures but in reality it looks not as much bland. The phone feels very comfortable to hold and easily fits in hands even if it has 5.2 inches screen due to smaller edges. Inside this smartphone under 20000 has a 1.2 GHz Qualcomm Snapdragon 400 Quad Core Chipset along with 1.5GB of RAM. The internal memory is 8GB and can be expanded upto 32GB via micro SD card. 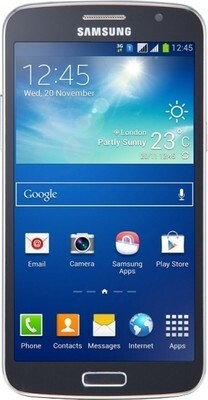 Samsung Galaxy Grand 2 has 8MP primary camera whereas a 1.9MP front facing camera along with couple of sensors. The screen is 5.25 inches TFT HD screen with a resolution of 1270 X 720 gunning pixel density of 280ppi. 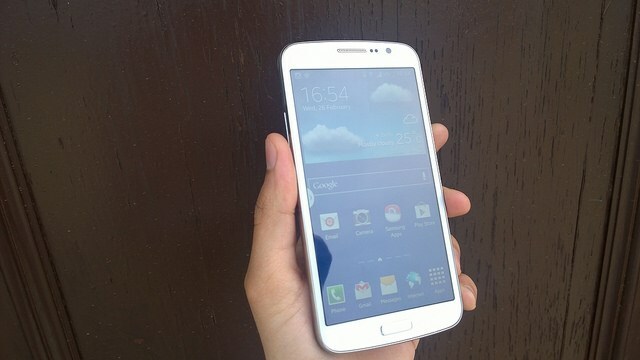 The screen on Samsung Galaxy Grand 2 has great sunlight legibility when used in full brightness. The software here is Android Jellybean 4.3 but can be upgraded to Android Kitkat 4.4.2. via FOTA out fo the box. The battery on Samsung Galaxy Grand is 2600mAh. I understand not everyone has a budget to buy smartphone under 20000 rupees. While smartphones under 10000 rupees offer great value to every buck paid. I recommend you check out this list of smartphones under Rs. 10,000 because it features great value for money smartphones. I bet you’d be surprised with the smartphone on 1st position (Unlock Required). Its been around 3 months for HTC Desire 816G in the Indian Market. But still it makes a great buy for smartphone under 20000 rupees. 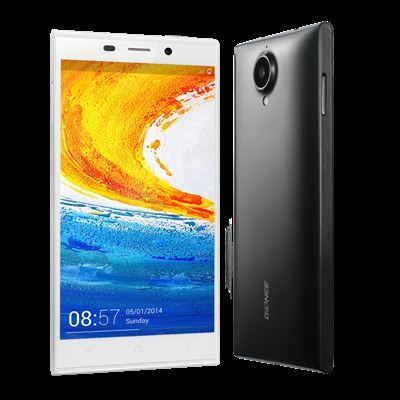 It has exceptional built quality for smartphone under 20000 rupees budget. It even has stronger looking specs sheet. 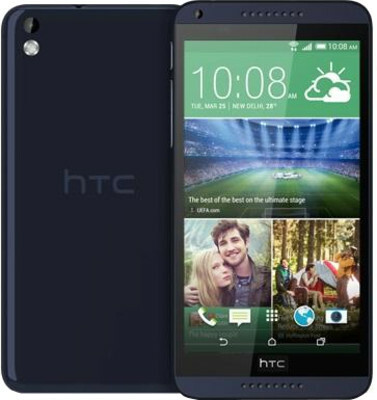 HTC Desire 816G is fitted with 1.3GHz Quad Core Mediatek MT6582 CPU coupled with 1GB of RAM, moreover chipset even comes with Mali-400MP2 GPU. Its got an 8GB of internal memory and expandable upto 32GB. The primary camera is 13MP and is capable of shooting Full-HD 1080p videos. While the front camera is 5MP. Its got a 5.5-inch HD IPS display with a resolution of 1920 X 1080 pixels and the pixel count is 267ppi. Due to its aggressive advertisements, you might have heard about Gionee by now. Gionee set up its base in India in late 2012 and since then has been churning out incredible smartphones and Gionee Elife E7 Mini is no exception. Gionee Elife E7 Mini comes with a powerful 1.7 GHz Mediatek MT6592 Octa-Core (8 cores) CPU. Its got 1GB of RAM along with 16GB of internal memory however Gionee Elife E7 Mini is void of expandable memory. For shutterbugs, this phone has a 13MP camera with LED flash capable of Full HD video recording. But the camera on this smartphone is unusual. Just like the Oppo N1, Gionee Elife E7 Mini too has a 208° rotating camera. So you get a 13MP back camera whereas a 13MP front camera. This could start a whole new selfie war. While taking a selfie, the LED flash won’t fire as a safety reason. With flash on, it could leave you blinded for couple of seconds. Gook Work Gionee! The screen is 4.7 inches 1280 X 720p HD screen which offers pixel density of 312ppi. The phone comes bundled with Android JellyBean 4.4 and is heavily skinned by Gionee’s Amigo OS 2.0. Gionee Elife E7 Mini body feels sturdier and is made out of polycarbonate. It weight around 143 grams with a non removable 2200 mAh polymer battery whereas the GPU inside is Mali-450MP4. Would you love if I tell you a little secret? My secret of making quick money online? You can easily utilize this trick to earn some pretty cool cash very quickly. This can help you buy a smartphone featured in this list. So do check out this article and since this is a secret, don’t tell anybody about this. If someone is talking about smartphones under 20000 rupees and it doesn’t include this phone. Then get a hint that he’s drunk. This phone made news even before its launch and made headlines after it launched. It really stood upto the expectation of reviewers all around the world. Along with great built quality its got 1.7 GHz Octa Core Kirin Processor under its hood. It comes along with 3GB RAM and is available in 16GB model. Upto 64GB expandable memory is available. Its got a 13MP primary camera with flash and a 5MP front camera. The built quality you get on this phone is exceptional and is hardly seen in smartphones under 20000 rupees. Its got an 5 inches full-HD screen with a resolution of 1920 X 1080 pixels. This offers a mammoth 441ppi pixel density for a mid-range budget smartphone. The phone is pocketable and easy to hold. It has got a satisfying grip and wont feel like falling from your hands. Reviewers have also listed Huawei Honor 6 as the best gaming smartphone under 20000 rupees. It can eventually play any game you throw at it from Google’s Play Store. The phone comes built in with Android Kitkat 4.4.2 and promise of early Android OS updates. Huawei comes with 3000 mAh battery to fuel this barbarian of a smartphone. Are you shocked? Yes! you should be. To tell the truth I’ve fallen in love with Lenovo Vibe X2. You really wouldn’t get a smartphone under 20000 as stunning and spectacular as the X2. Lenovo X2 has a 2 GHz Mediatek MT6595M Octa-Core CPU along with 2GB of RAM. Its got 32GB of internal memory and as usual no hope for expandable memory. The camera is 13MP capable of shooting 1080p videos along with 5MP front camera. The screen is 5 inch Full HD Super AMOLED screen with a resolution of 1920 X 1080 pixels and offers pixel density of 441 ppi. 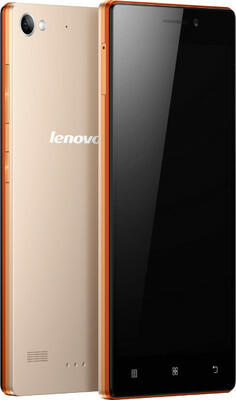 The phone comes pre-installed with Android Jellybean 4.4 OS, heavily skinned with Lenovo’s own offering. The main USP of this smartphone is its layered design. To reveal a fact, Gionee Elife S5.5 mini is made up of several layers which is one of a kind modern Android Smartphone. Talking about the design, the phone has aluminium bezel and back This really looks premium unlike the Samsung Galaxy S5’s plastic design. I certainly believe you would have liked the list and you would have unlocked the First Position. I’ve tried my best to include the best smartphone in this price sensitive segment. If you do have any complains about the list, make sure you leave a comment below. Or any other smartphone you believe should have fit the bill? Let me know. Don’t forget to share. Well, its impressive knowing about these top 5 smartphones that go for below 20000 Rupees in India. The review highlighted their features and I must say these features are handy. For anyone who aspire for quality at cheap cost then any of these mobile devices would should come handy. Thanks for sharing this post as it gives readers options to choose from! Visiting your blog I see only 4 mobiles out of five, apart from these all mobiles Yesterday I heard LG mobile has come up with 2 GB Ram for 16k INR, is this true? Coming to the point you described very well, but when there are other companies offering for less price. I mean Intex company that announced new mobile Intex Aqua N14 mobile for 6 or 7k and the features are 1 GB RAM with 1.3 processor 8 MP camera too. From your list If I am willing to buy a mobile then my choice is LG Mobile that coming with Dual core processor. Micromax offering 13 mp camera, but form their previous mobiles are worse, can you prefer them as a worth to buy? Nice list of Budget smartphone. My favorite is Motorola Moto G and I’ll recommend it to every one who is looking for a budget smartphone. where is Xolo q3000 man…. at 4000mAh battery life. Nice blog.I would recommend to add the newly launched (ONLY in flipkart) XIAOMI MI3 mobile.It is such an awesome phone with all good specifications.The price is quite cheap( 14k approx).The first thing I would say about this mobile is “IT’S PRICE!!!! !”and it comes with 13 MP Camera. Its super smooth. The screen is really sensitive. The hardware on the phone is really awesome. It ships with a snapdragon 801 SOC and not 800. The Battery life is super awesome! Please check the reviews and the specifications in flipkart before ordering. Overall the phone is too good at this price. Thanks for sharing this blog….. I found your top 5 smartphone list is good but the price is different because when i search these product on zopper i found the minimum price of every mobile phone having 1000 rupees difference except MOTO G. Zopper is an online consumer product research platform where everyone can search the best price of more than 1,000,000 products. The post was really good. Unlike its rivals which just blindly share by looking at the popularity, this one was quite in-depth! I would suggest to remove Micromax Canvas Turbo from the list due to the reason that they just rebrand Chinese OEM smartphones. I had written a post on it. You can PM me for the link! Moto G also is in the competition. But sadly, it is not available in stores (only on flipkart for Indians I guess). PS: I found this post on Kingged.com, where it was shared! Thanks for sharing. All the five mobiles are good in terms of configuration and price. Since Xiaomi MI3 isn’t available as a normal retail phone. It has been included in the list! In India, we consider only the fancy features before making a purchase. No on talks about radiation SAR value, that causes discomfort and even diseases if the phone is used over a period of time. Any updates on SAR values in your blog? A really nice question raised by you Sir and its my first priority to not put up smartphones that will be a health hazard to our users. Talking about SAR, I have made sure that the smartphones satisfy the condition of SAR value so as the smartphone we recommend and they buy do not pose health hazard to our users..
You are doing a great job.Thank you for all the info, it feels trustworthy..really..Actually I am planning to buy a new smartphone and my major concern is the heating problm and battery life..I would be glad if its dual sim with a sleek design.my budget is 20,000.Can you please suggest me few good ones..It will be a great help..
thanks for sharing but i think ASUS ZENFONE 5 should also be included with them. I think that’s also one of the best mobiles under 20k. Good comparison and article too, but I wonder how come a single windows OS phone is not featuring in the list. Is that true there is no such windows OS good phone below 20k ?? Considering the price to performance ratio, there isn’t right now a product from Windows stable that could match with the crop of Android Smartphones under 20000 rupees. These are the best smartphone under 20000 one can get. Thanks for your confirmation Abhi. How well you rate that Gionee in long term lag free performance ?? Apart from the list If I say my budget is 20k and I look for a decent camera,battery and 5″ screen what do you suggest. I am Lumia 620 user and extremely happy with the OS and camera performance and lag free screen operation. Only issue is screen size and battery capacity. Great list buddy. I also prepared one such list but that list only have Samsung smarthones those can be purchased under 20000. Nice to see your very useful review on Best 5 smartphones. I had purchased a Moto E smartphone the day it was released in India and since then, I am just loving it more and more. This is one of the best smartphones in this price range. Micromax Canvas series is also good. Anything about Sony Xperia series. I am using one and quite happy with it. Wow Honor 6 is in almost every list. Do you think i should buy this mobile or wait for some other phone for 18k price range. Very great list! Now a days, people are crazy to buy smart phone. Under this range, we all can buy a good smart phone with lots of amazing features. It is very useful for all people who are planning to buy smart phone under 20000. In ur review it says that HTC Desire 816G comes with HTC Sense 6. but it’s not mentioned in the specs of this phone on company’s website. They have mentione Android™, HTC BlinkFeed™ and HTC Apps . So just want to confirm it whether HTC sense ui 6 is available or not. I have copy pasted the review u have written below. @gaurav: it was Z3, the one hitting the stores in a few months is Z4, the successor to Z3. Finally i got my hands on Honor 6 and i am very happy with the phone. Very good phone with cool UI and processor. I will go for Gionee Elife E7 Mini. Wonderful List of Smartphone. Guys check the new smartphones launched by Gionee…They are amazing.